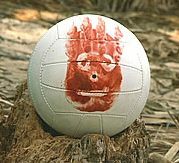 The original Wilson kept Tom Hanks company on a deserted island. My Wilson served the purpose of removing excess fluid that my body didn’t need after surgery. But he was also a nuisance. I have slept in a recliner for the last four and one half weeks while longing for my king-sized bed for fear of rolling over on him and spilling his contents. Every article of clothing I have worn, including pajamas, had to have a pocket that he would fit in. And if I wanted to go out in public, I desired a shirt long enough and flowy enough to hide his existence. To take a shower, I had to wear a lanyard and pin him to it since my birthday suit contains no pockets. He was attached to me and there was no escape. Until this morning, when my surgeon mercifully declared his job done and yanked Wilson out. I could hardly contain my excitement. Thoughts of bathing unencumbered and expanding my wardrobe to include non-pocketed pants and shirts that did not qualify as tunics danced through my head. I wanted to stand up on the exam table and recite the famous words of Martin Luther King, Jr., “Free at last! Free at last! Thank God Almighty, I’m free at last!” OK. Maybe that’s being a hair dramatic. But throughout the course of the day, my freedom from the drain made me mindful of other types of freedom. The post-surgery drains are not the only burdens I have been hauling around during this time in my life. I have also been saddled with sadness and doubts; pulling me down and keeping me from the abundant life God promises (John 10:10). However, the primary emotion that’s been weighing me down is fear. Fear that we won’t pick the right treatment. Fear of how different and foreign my body will be. Fear of being sick. Fear of loosing my hair. Fear of looking sick and how others will react to me. 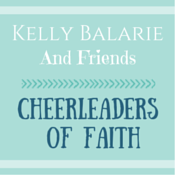 I could let it overwhelm me right now just typing about it – and some days I have. But I know that fear is not from God. 1 John 4:18 says, “There is no fear in love; but perfect love casts out fear…”. God is that perfect love and if I’ll give my fear to Him, He will get rid of it! God’s promises of freedom in Christ are for everyone. “…the creation itself also will be set free from its slavery to corruption into the freedom of the glory of the children of God.” Romans 8:21 ALL creation. You. Me. Everyone. No matter what sin or negative emotion has you feeling trapped or enslaved, you can turn it over to Jesus right now. 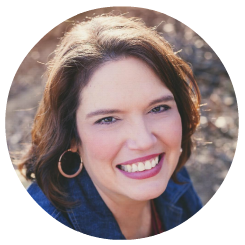 That doesn’t mean you won’t ever struggle with it again, but if you faithfully seek Him, and give it up to Him every time it tries to attach itself to you, you will find the joyous freedom God promises. You and I can move from locked-in to liberated.